It is worth noting here that a mother’s breastfeeding experience can be made a lot easier with a conducive environment and supportive people around her. Organo admitted that she never had second thoughts of breastfeeding her child prior to giving birth. Her husband’s encouragement also gave her the confidence to breastfeed her daughter even when she doubted her ability to produce enough breastmilk. “Leaving my child after months of being together was so hard. There was guilt because I have to leave my daughter, but I see to it that I express breastmilk for her and bring it home every single day. 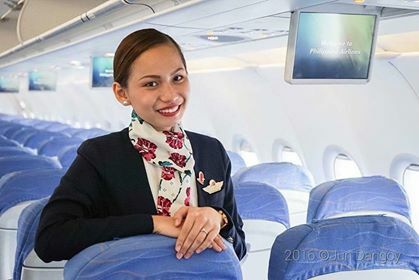 So, it is a big deal for moms like me that my workplace actually supports my decision to continue breastfeeding.”She also shared that the airlines has already set up a lactation station in one of their offices to support breastfeeding for ground employees. Her story shows that a mother’s job is one heroic flight. No matter where they are, they only want the best for their children. Giving the best nourishment and protection through breastfeeding is the finest prelude to a child’s bright future. “Breastfeeding is the most natural way to feed your child. For breastfeeding and working moms out there, you are not alone. There’s plenty of us here breastfeeding our child, wanting the best for them. It is a commitment to your child. So, keep on going,”Organo ended. Visit mbfp.doh.gov.ph for more information.